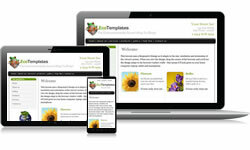 Responsive design templates from The Template Store - Professionally designed Responsive design templates. These layouts use Responsive Designs and will adapt to the size, resolution and orientation of the viewer’s screen - this means they'll look great on your home computer, laptop, tablet and smartphone. They come with a dwt file so can be edited in Microsoft Expression Web, Frontpage 2003 or Dreamweaver. 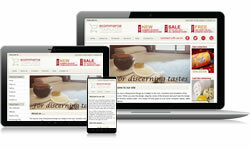 You can alternatively use the HTML or text editor of your choice and ignore the dynamic template feature. 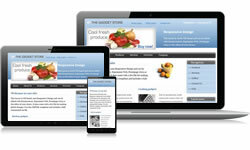 Responsive design ecommerce versions are available with shopping cart software integrated from Ecommerce Templates.